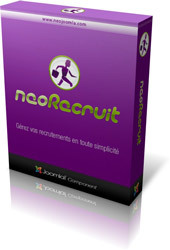 The component NeoRecruit is required to use the module NeoRecruit Latest Offers. This module is free and is compatible with Joomla! 3.x and 2.5.